Have you realized that making soap is actually very similar to baking? from measuring our ingredients, using delicious extracts and fragrances...we sometimes are so tempted to try eating the soap we make! Of course... we shouldn't try that. So inspired by this, we decided to make a Buttercream Icing soap. 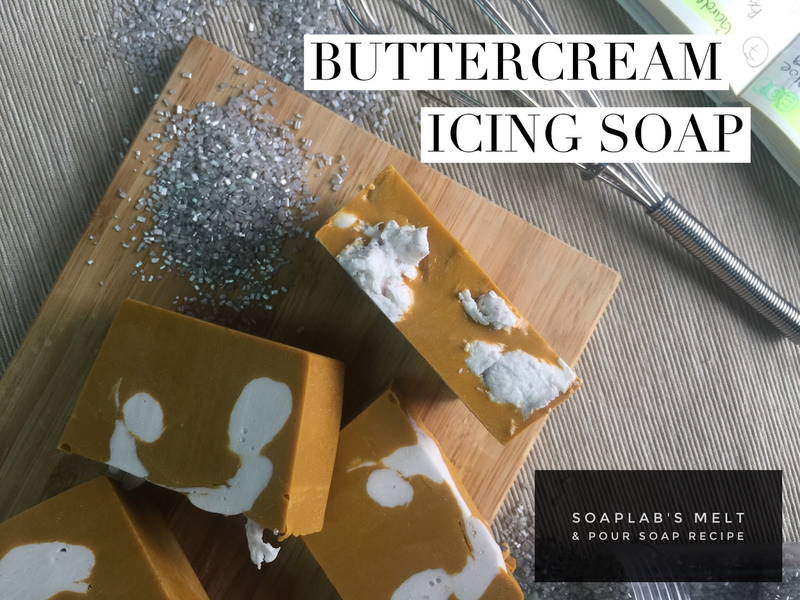 This soap begins with SoapLab's Three Butter Base. Next we add in some extra shea butter for that luxurious creamy feel and moisturising qualities. To increase the antioxidant content, we also include some vitamin E as this will help protect your skin from fine lines and signs of aging. Next to make this soap smell so delicious you will want to eat it, we use buttercream and chamomile fragrance oil. Creamy and calming...that's how you will feel and smell the entire day!